As I’m sure y’all can tell by now I’m doing my best to incorporate more and more recipe posts, especially of the boozy variety, like the recipes for Cuba Libres and Watermelon “Bloody Marys” that I shared earlier this week. 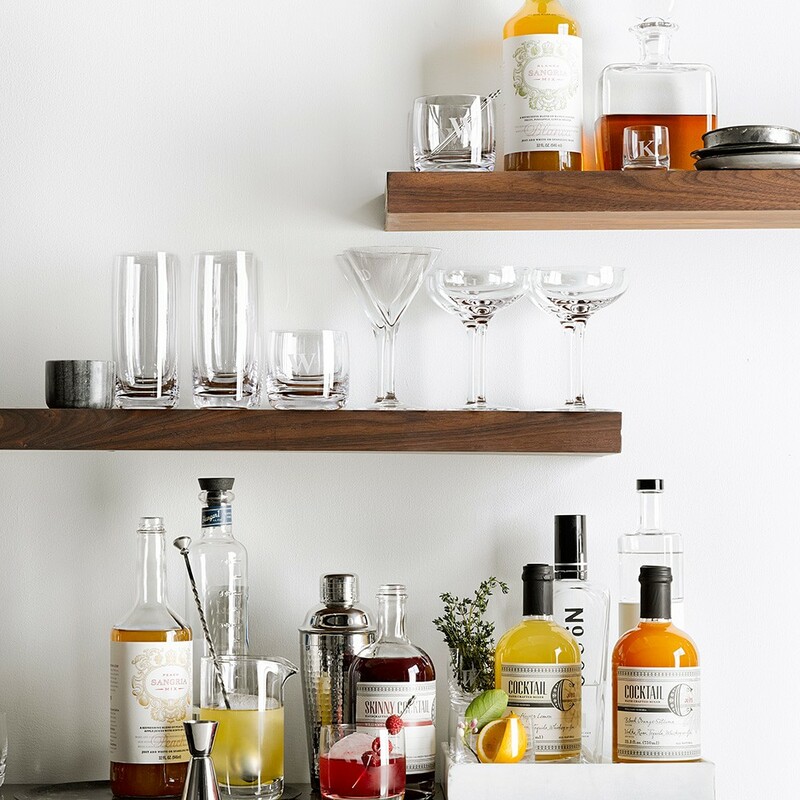 My aim is to begin including at least one recipe most a week, but in order to do that it’s time to up my bar cart game. I’ve been buying bits and pieces as I go along, but my game-plan this weekend is to take stock of what I’ve got, which at this point is a fair assortment of rocks and highball glasses and ice spheres, and then round out the rest of my bar cart. If you’re looking to do the same I’ve rounded up some of my favorites from Williams Sonoma, and that list happens to include my favorite ice sphere molds and copper mugs – necessities for recreating my Grapefruit Thyme Mules.